The seats in the Alberta assembly are still warm from the fall sitting that ended Thursday but we’re already focused on the next Big Thing in provincial politics: the timing of the 2019 election. Let the election speculation begin. The seats in the Alberta assembly are still warm from the fall sitting that ended Thursday but we've already moved past that. Now, we're focused on the next Big Thing in provincial politics: the timing of the 2019 election. Premier Rachel Notley has helpfully added fuel to the speculation fire by declaring she might not have a spring sitting of the legislature, not even a day-long event where she'd introduce a feel-good speech from the throne. That would suggest she is thinking of going earlier next spring, not later. "I will commit to ensuring that we consider all the options that are available to us to ensure that Albertans have a good understanding of what their options are before we go into the next election," said Notley, in a comment to journalists that seemed to convey nothing but actually telegraphed a lot. By refusing to commit herself to holding a spring sitting of the legislature — one that typically begins in February — Notley is opening the door to the possibility she'll kick off the campaign as early as February. Supporting that possibility was her comment she might not even introduce a budget before dropping the writ: "There may or may not be a budget. There are two options and one of those two options will happen." Those betting on an earlier election point out Notley will want to avoid releasing a budget that would be filled with bad fiscal news. 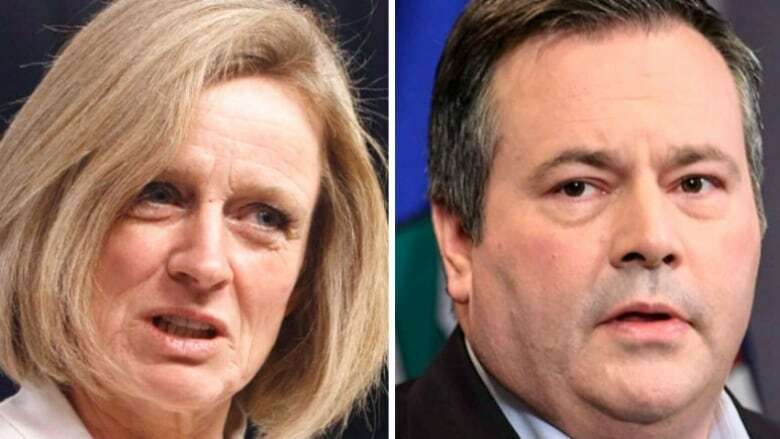 But if Notley doesn't have a financial plan she won't be able to attack United Conservative Party Leader Jason Kenney for not producing his own pre-election shadow budget outlining what he would do as premier. There is one thing she will commit herself to: "The election will be held within the times that the current legislation suggests." That legislation says the voting day must fall sometime from March 1 to May 31. If Notley wanted to hold the election on the earliest day possible, she'd drop the writ and start the 28-day campaign on February 1. That's just what Kenney is urging her to do. "Albertans don't want to wait until May or June, and so I'm calling on the premier to hold that election as soon as possible under the legislation," said Kenney. "That would be at the beginning of February." There was definitely a feeling of denouement inside the legislature this week, as if the MLAs could sense this was the last time they'd be in the assembly before the election, perhaps forever. If the public opinion polls are prescient, many of the NDP MLAs will not be returning. This week seemed to be their last hurrah. On Tuesday, for example, NDP members spent so much time introducing guests that an exasperated UCP MLA Nathan Cooper finally interrupted to request they get on with question period. On Thursday afternoon, when the fall sitting formally wrapped up, veteran MLA and NDP house leader Brian Mason, who will not be running next election, seemed to be waving goodbye. "I love this place," he said. "I'm going to miss it very much." He said afterwards that he has "no idea what the premier is going to decide" when it comes to the election. But his sentiment Thursday appeared to be one of a politician heading into the sunset, not one expecting to return once more to the legislative breach. The final decision is, of course, Notley's. Journalists didn't have much time to press her on the issue Thursday as she headed to Montreal for the first ministers meeting. It promises to be an odd gathering with all kinds of strange bedfellows. Notley, for example, is at odds with Saskatchewan Premier Scott Moe over the federal carbon tax. But the two are snuggled under the covers, politically speaking, on the need to have the leaders talk about the oil price differential that is playing havoc with Alberta's economy and the provincial treasury. Notley is likewise at odds with New Brunswick Premier Blaine Higgs, but the two are canoodling when it comes to reviving interest in the defunct Energy East pipeline project. Depending on the issue, various premiers will be jumping in and out of bed with an assortment of other premiers. It'll be more confusing than a British bedroom farce. Notley, though, is mostly alone — an NDP premier who has more political foes than friends, who has been publicly critical of Prime Minister Justin Trudeau and who is at odds with a litany of conservative premiers and is even feuding with Canada's one other NDP premier, John Horgan of British Columbia. Even if she makes allies in Montreal, they're not going to be much help to her on the election campaign trail, whenever she calls it.